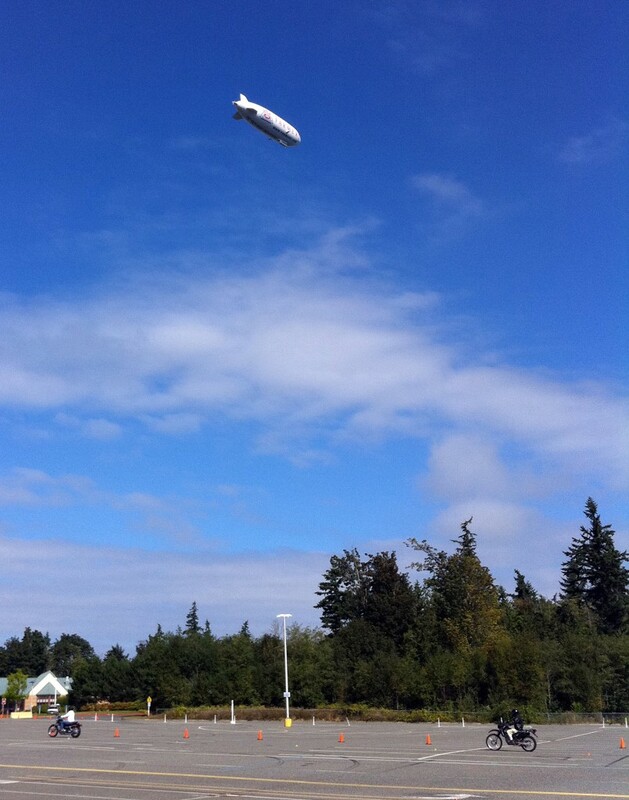 According to the Seattle PI, the Farmers Insurance Zeppelin is the largest airship in the world. It was flying from Boeing’s Paine Field on Saturday. My MSF students, circling a Boeing parking lot on 250 cc motorcycles, were oblivious when it passed overhead.